When I set out to make our recipe for 7 Up Cake it was not easy finding the correct pan. Be careful. Over the years we have received many notes from people who attempted to make it in a bundt pan. Unfortunately bundt pans are not only the wrong size, but the fluted sides make releasing the cake more difficult. 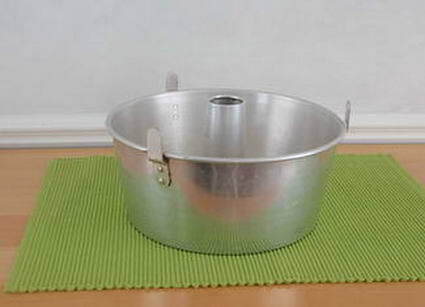 Traditionally this pan is used for angel food cakes, which is why you will see these sold as "Angel Food Cake Pan." I walked all over our local mall looking for a proper tube pan, and came up empty handed. Here you can buy one. Make sure to pick a tube pan with the little feet at the bottom so you can invert it and release the cake properly. Check back here for all of the current auctions on tube pans.